Finished jewelry pieces are especially great for production work: it's easy to interchange, replace and update components for transitioning from season to season. 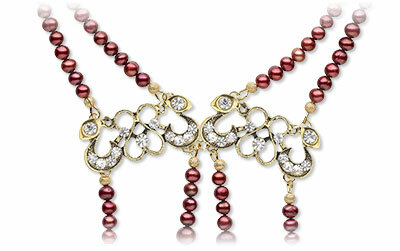 You'll save money, too--buying jewelry mixes and assortments can bring your cost per necklace as low as 50 cents each. 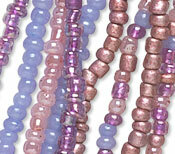 Finished jewelry makes customization easier and can re-stock your jewelry-making supplies with novelty components, too. You're not limited to just cutting the piece apart for all the beads. You have options! Re-purposing and upcycling parts of our finished jewelry designs let you save time, save money and expand your creativity. 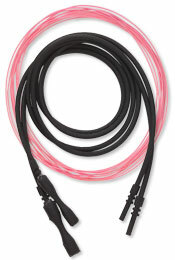 They can also help you offer easy customization using an expanded selection of pendant, drop and pre-strung strand components with jumprings and interchangeable bails. Personalization of purchases is a hot selling point for many customers in both items they purchase for themselves or as gifts. And picking up a few packages of our bracelet mixes and necklace mixes will give you a wide variety of components to offer. 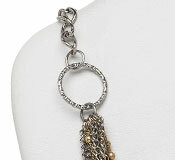 Or use the detached focals on ready-to-wear chains, cords and neckwires. 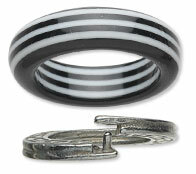 Great for unisex designs! Turn earring drops into pendants--and vice versa!